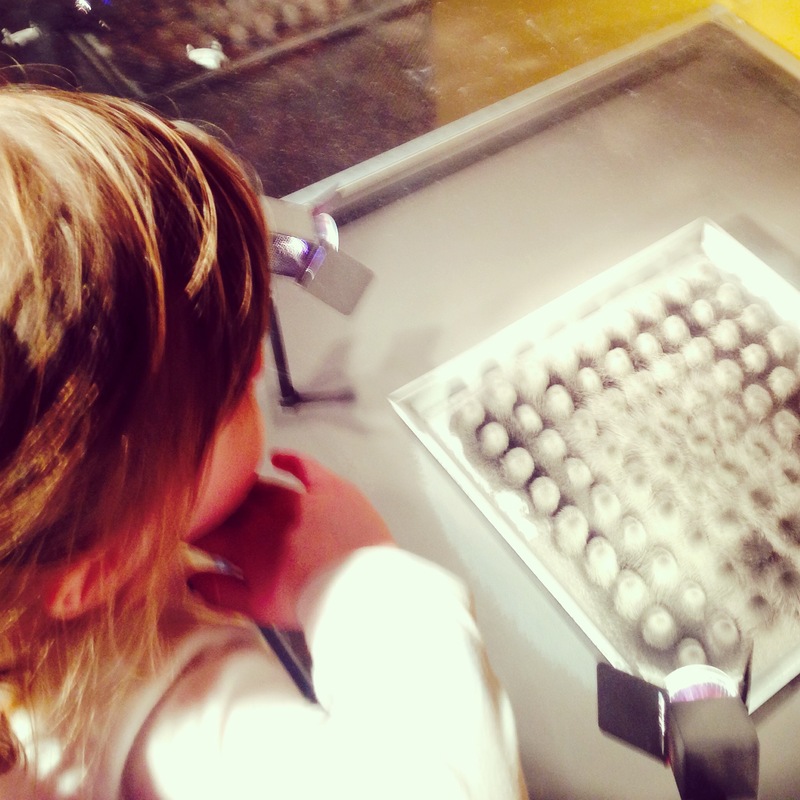 Last week Miss Pickle had a field trip to our city’s Science Center. Our family bought a year-long membership through one of those discount sites, so instead of applying to chaperone (they have so many parents that want to go that there’s a lottery, people), we just decided that I would just go and take the little siblings and we’d all have fun at the Science Center for a day. We tagged along with Pickle’s friends and talked about desert roadtrips with another mom and the kids played with physics and it was fun. Then it was over and it was time to go. The schoolbuses left and took the big sister, and I told the preschoolers they had time for one more activity before we had to go to. Of course they chose WaterBalls, so they would be soaked when it was time to leave, but they met their deadline with happy hearts, so, fine. Oh, spontaneous gratitude from a preschooler! This is not an unusual thing for him to do, but it just never gets old to me. Nearly every time we get done with something fun, there he is, grabbing my hand or hugging my leg, his naughty (naughty is also one of his character traits) little face beaming, grateful for the little joy he just experienced. This boy of mine simply came with a grateful heart. It is just one of his gifts. It comes easily and naturally to him, and I think it will make his life better. My girls have their own gifts (more on that later), but this one is particularly his. What is also beautiful about this to me is that he is giving this gift to his little sister. RoRo emulates his example. It is less spontaneous for her, but when she sees him thank me, or anyone, for something, she repeats it, and it’s real for her. She is developing this trait that she sees in him. As I compliment the other two on their good manners and point out to them how good it feels to express gratitude, the big one is catching on, too. Miss Pickle is finding ways and moments to offer thanks. She is very proud of herself when she does it, and I am deliberate in pointing out to her how good it feels because I want it to become one of her character traits. I think that Pioneer Girls have these good traits, and they can learn to develop those that they value. A couple of years ago a friend of mine mentioned that she had a journal that she shared with her son, who is a few years older than our Pickle. The two of them passed this journal back and forth, asking each other questions, answering, doodling, just communicating. I loved the idea and as soon as the Pickle had some writing skills, we started the same exercise. It has been a lot of fun and helped our relationship grow. Last week I ordered this gratitude journal to continue the tradition in a more focused way. We’ve only started to share it, but I already see the development of this attribute in my beautiful girl. The journal has prompts, which she does really well with, and it’s fun for us to both take a little bit of the page and share our happiness with each other. Our boy has brought a good gift into our home. I’m grateful for him.